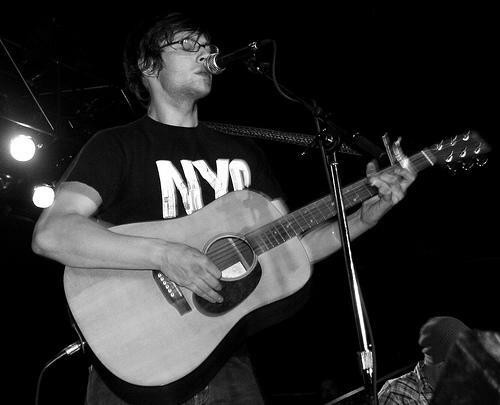 Chris Koza has felt the love from a number of blogs when he sent out his new record for review in early 2006. His brand of power pop was just what some of us needed to beat the hype of bands from like Cold War Kids and fill in the blank _______. Chris Koza opens the night at the Upper Room On Friday August 11. Matt from YANP beat me to the punch; man he's fast. 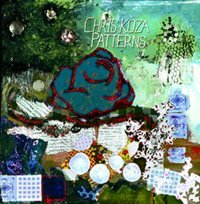 But in this case I'll break one of my cardinal rules and add to his brief post with my own selection from the new record Patterns from Chris Koza. I'll also second Matt's opinion that this record stands out from some of the recent music that has shown up over the last several weeks. It's not revolutionary in any way and unlike other recent releases doesn't take any big chances musically but sometimes you just want to listen to Duncan Sheik over Jeff Buckely, Jewel rather than Ani Difranco and Hootie instead of Radiohead (well, maybe not that!). Here's another song from Patterns delivered in much the same staccatto rythym as "Midnight Rose" (available over at YANP). Order this now from Chris' webstore. Labels can contact Chris (chris@chriskoza.com) to license this polished, self-released disc.